It seems to be some kind of running joke among sewing bloggers to post summer garments in winter because you are behind on your blogging. I’m no exception. 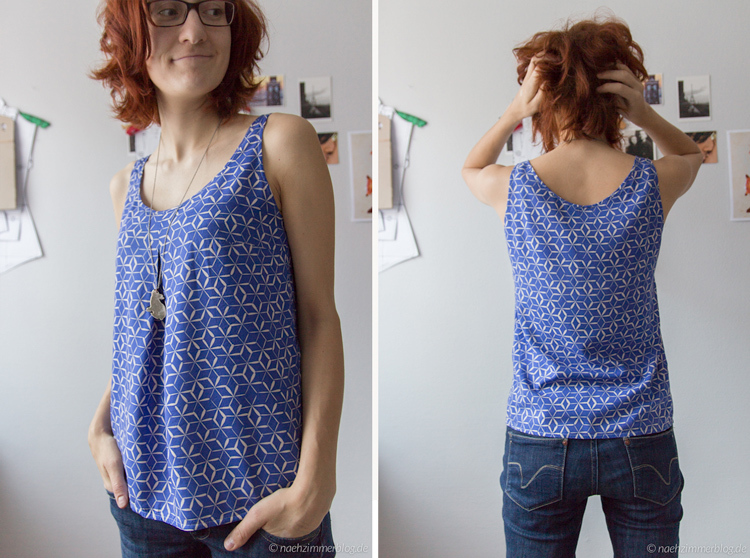 This beautiful blue rayon top – my second Sorbetto top – was actually a last-minute-make for my summer holiday in Greece. But when I returned, autumn was in full swing already, which is why this thing never made it to the blog. But I love it too much to wait for spring, so here it is. 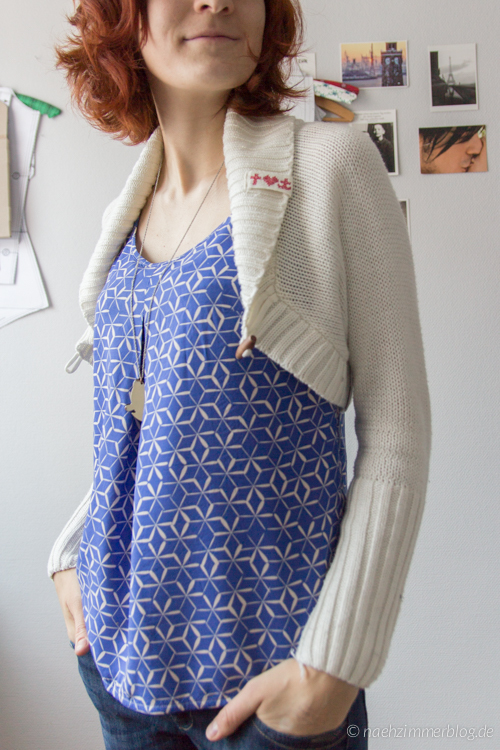 For a short moment I even thought that I could somehow style it for winter, but, let’s be honest: Cropped cardigans are not exactly cold-weather-proof. They keep your upper body warm while making you freeze around the belly and kidneys. I only wear mine very occasionally around the house. Aaaanyway, shall we talk about the top? Great. So this fabric is a cotton + steel rayon and it’s a-ma-zing! Ever since I started sewing I haven’t had many “brand fabrics” – Some Michael Miller cotton here and some Birch fabrics interlock there – but whenever I used fabric with a big fancy name on it, I was usually surprised by the quality and the difference it made from the usual 8 Euro per metre department store fabric. This cotton + steel rayon is no different. It’s lovely quality: Silky, but not shiny, drapey, but not super thin or see-through. Rochelle made me fall in love with this particular print in the first place. I originally wanted to sew a Bettine dress from it. But since this fabric comes in quilting cotton width (and price) I ordered a little less than a meter and made another beautiful Sorbetto top. The rayon came with no care instructions and it seems like it needs to be handwashed, but pre-washing at the 30°C silk/delicates program with minimum spin speed went just fine. 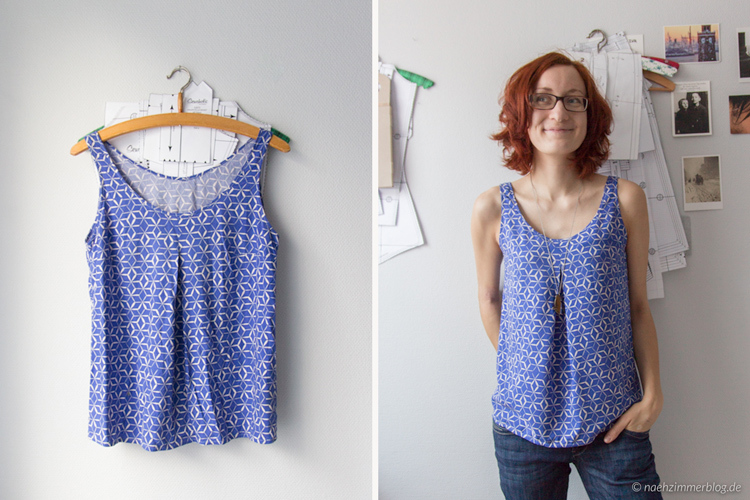 The pattern is my heavily altered Colette Sorbetto top again. Given all the hassle I had with slippery polyester and viscose linings before, this fabric was relatively easy to handle. I found that ironing at the lowest heat setting with very little steam worked best. For cutting, I just aligned the fabric carefully on my cutting table, making sure all grains were straight, used lots of pattern weights and some silk pins, then cut carefully, sometimes with smaller scissors. Next time, I’ll try using velvet or corduroy as a base layer, so it won’t slip too much. Cutting everything in one layer helped a lot and I’m glad I thought of immediately staystitching all the necklines as well as the armholes. 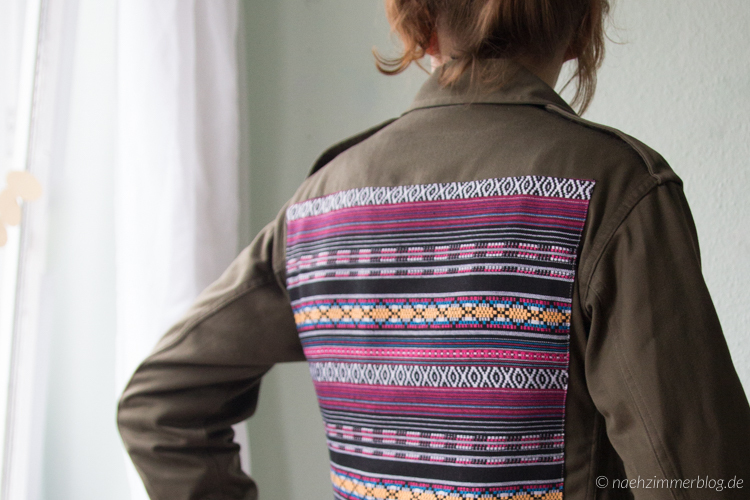 I used a needle size 60/8 to sew everything. 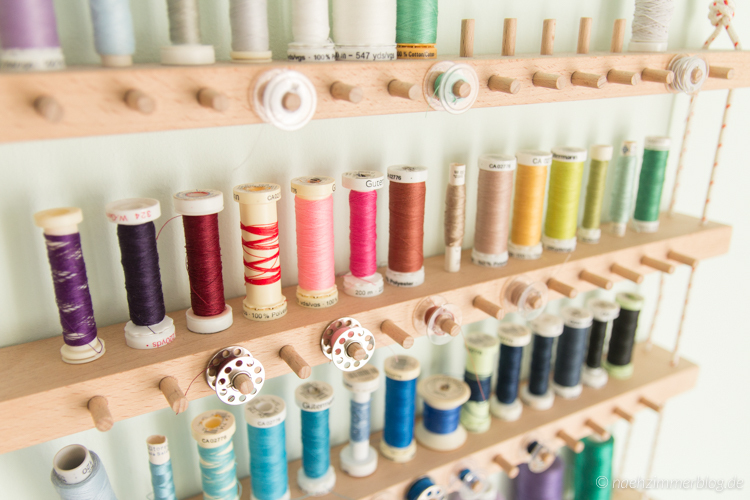 These tips on sewing delicate fabric from the Colette Blog (especially the last one) were invaluable. 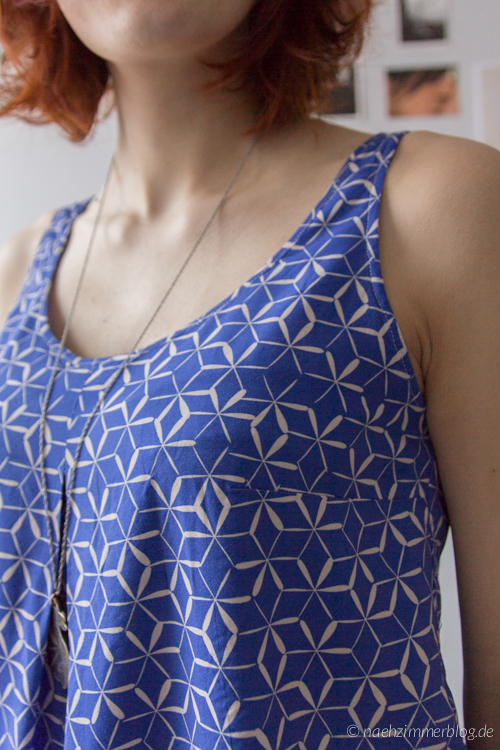 Sadly, I was determined to finish this top the night before leaving for my holiday which had me rush through certain steps (like attaching the bias binding to the neck). As a result, that seamline looks kinda wonky. I also wish I had turned the bias tape on the neck to the inside, like I did on the hem and armholes, but it would have resulted in a lower, more exposing neckline, so normal bias binding it was. I love this top so much! That vibrant blue colour is so beautiful. 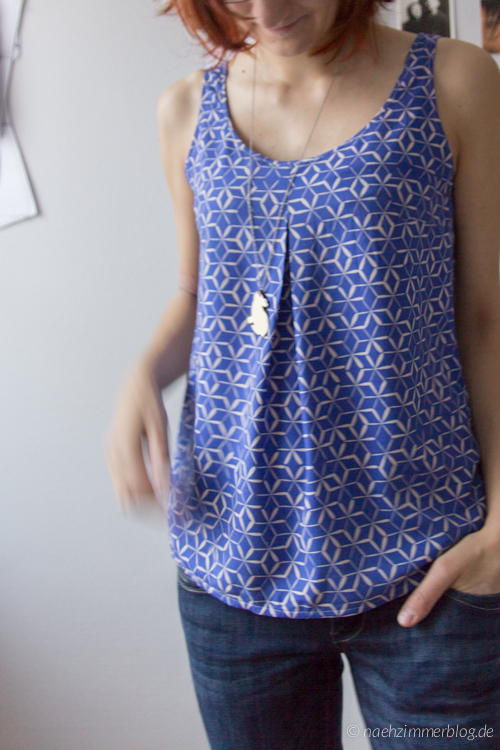 They call it cobalt, but since I wore this top in Greece, I’ve always called it “greek blue” in my head. And Google Image Search seems to agree. 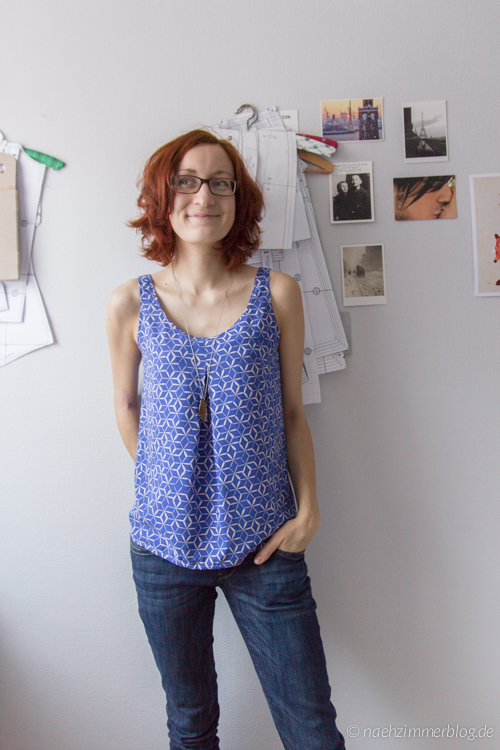 By the way, these are the last photos taken in my sewing room. 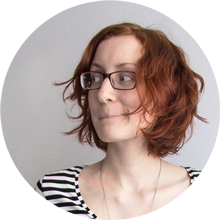 I’ve moved again – a step that was sudden and unexpected – and am currently living in a temporary apartment until I find a new place. I took some photos before my move though, so a sewing room tour is coming up. Until then, I’ll try to find the time (and light) to take some photos of the other six (!) 2015 garments that have been piling up. What about you? Have you blogged about all your 2015 makes already? Or do you face the same problem?